Do you live in Trafford? Are you concerned by our Council’s continued use of harmful pesticides in public spaces and on school grounds? 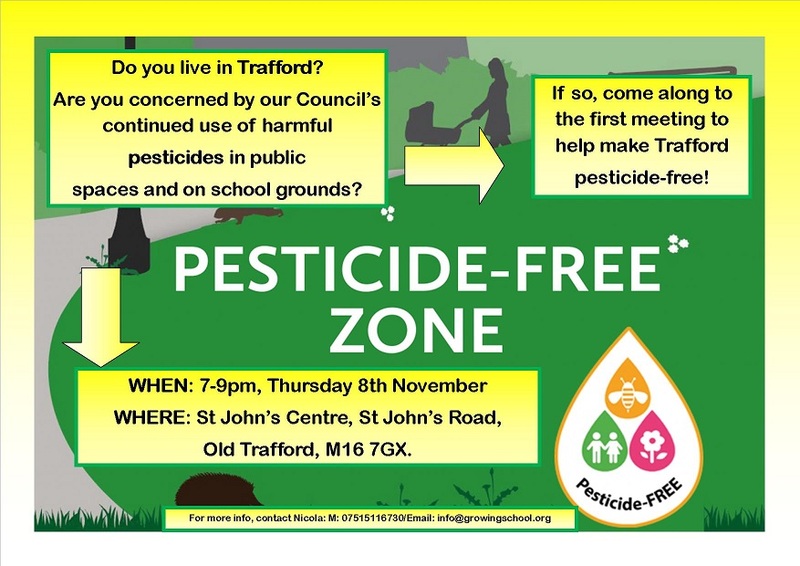 If so, come along to the first meeting to help make Trafford pesticide-free! Thursday 8th November, 7-9pm at St John’s Centre.